A110-1 BIRDS & DEER ON & INVOF ARPT. A110-10 ASDE-X IN USE. OPERATE TRANSPONDERS WITH ALTITUDE REPORTING MODE AND ADS-B (IF EQUIPPED) ENABLED ON ALL AIRPORT SURFACES. A110-13 USE CAUTION IN VCNTY OF TWY 'A' ALONG WEST RAMP. 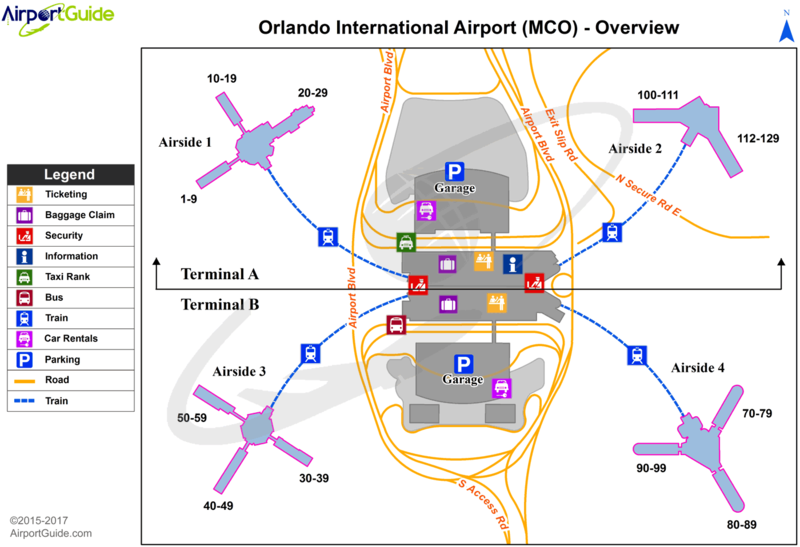 A110-14 UNLESS ADV BY ATIS, DEP FLTS ON INITIAL CTC WITH GND CTL: ACFT ON WEST RAMP, AIRSIDE 1 & 3 (GATES 1-59) USE GND CTL 121.8. ACFT AT AIRSIDE 2 & 4 (GATES 60 AND HIGHER), USE GND CTL 126.4. A110-15 TWY J3 AND TWY J4 RSTD TO WINGSPAN OF LESS THAN 118 FT.
A110-16 RUNWAY STATUS LIGHTS ARE IN OPERATION. A110-17 ACFT WITH WINGSPAN GREATER THAN 214 FT MUST ADHERE TO SPECIFIC RY AND TAXI ROUTES. CONTACT AIRFIELD OPS AT 407-825-2036 FOR DETAILS. A110-18 TWY A, SOUTH OF TWY A3 RSTD TO WINGSPAN OF LESS THAN 118 FT. PPR REQUIRED FOR WINGSPAN 118 FT OR GREATER. A110-19 RY 17L-35R UNLIT 0400-1100Z. A110-21 TWY A, BTN W RAMP S END AND TWY B10, RSTRD TO ACFT WINGSPAN LESS THAN 171 FT. PPR FOR ACFT WINGSPAN 171 FT OR GTR. 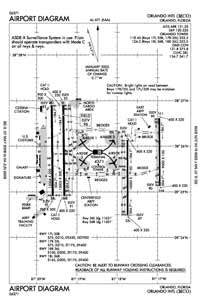 A110-7 AVOID CONTACT WITH TAXIWAY EDGE LIGHTS; ALL AIRCRAFT DETERMINED TO BE FAA DESIGN GROUP IV AND ABOVE MUST PERFORM JUDGEMENTAL OVERSTEERING INSTEAD OF COCKPIT CENTERLINE STEERING WHEN TAXIING. A110-8 WHEN ORL ILS RY 7 AND MCO ILS RYS 17 & 18R SIMULTANEOUS OPERATIONS ARE CONDUCTED, ATC RADAR REQUIRED. A110-9 BRIGHT LGTS ON ROAD BTN RY 17R/35L AND RY 17L/35R MAY BE MISTAKEN FOR RY LGTS. A33-18L/36R CENTER 75 FOOT KEEL SECTION OF RY CONCRETE FULL LENGTH; CENTER 100 FOOT KEEL SECTION OF RY CONCRETE FIRST 1000 FT, BOTH ENDS. REST OF RY WIDTH IS ASPHALT. A33-18R/36L CENTER 87 FOOT KEEL SECTION OF RY CONCRETE FULL LENGTH; REST OF RY WIDTH IS ASPHALT. LAST 3000 FT OF RY 18R IS CONCRETE FULL WIDTH. Single Wheel Landing Gear: 165.